That’s right, we’ve had our fifth Cantoreasm over “thundersnow” — a weather phenomenon not too uncommon in Iowa — posted to The Weather Channel’s YouTube channel. As he indicated in his celebration, which former New Hampshire Gov. 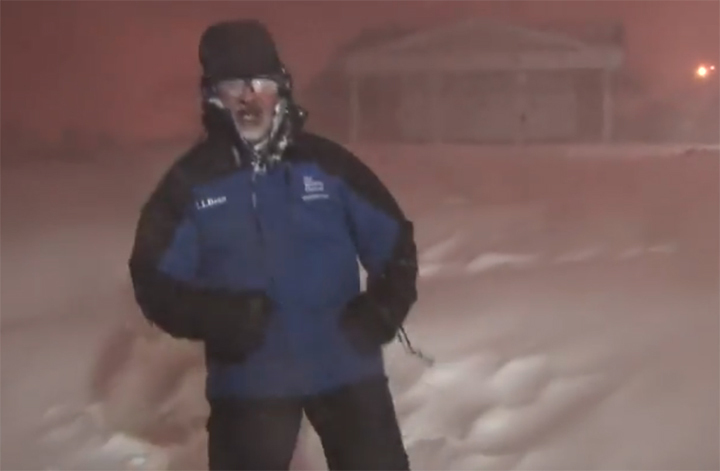 Howard Dean deemed “blase,” this is the fifth time TV weatherman Jim Cantore has witnessed and captured the event on video. A montage of his earlier Cantoreasms can be found by clicking here.